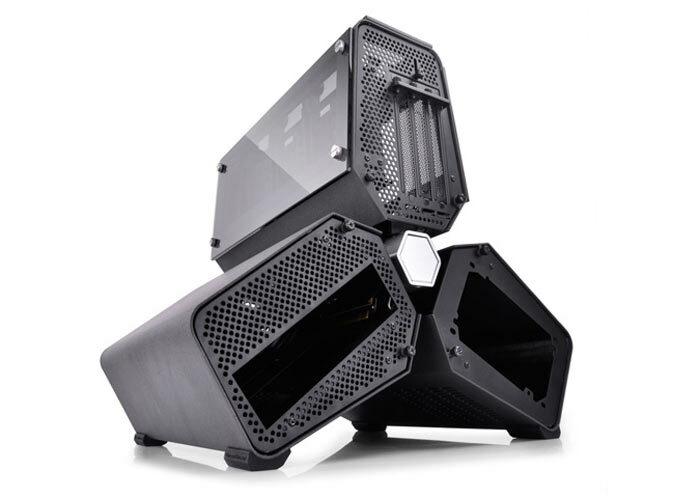 PC accessories maker and specialists in cooling, PSUs and chassis development, Deepcool, has launched a new version of the TriStellar triple-blade mini-ITX chassis. 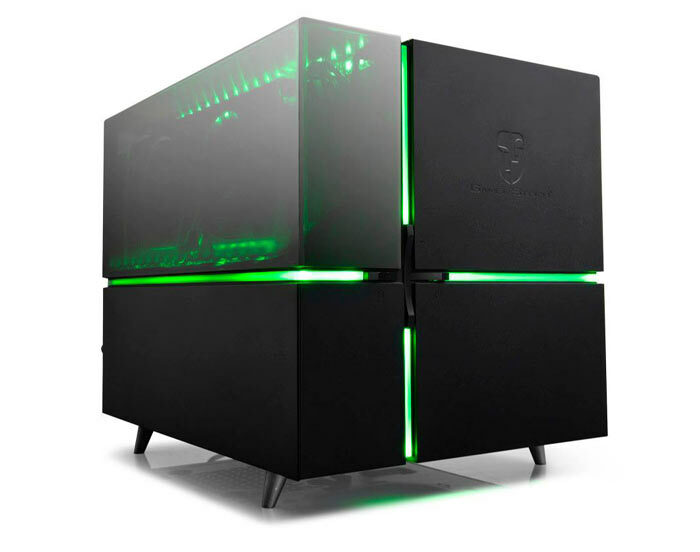 The Deepcool TriStellar SW edition is based upon the designs we saw previewed at CES and subsequently adopted by CyberPowerPC for its Trinity gaming PC and adds a transparent visual twist - a trend it started at Computex. New with the TriStellar SW is a 'Graphic Card Cabin' which offers a graphics card room with a view. If you were interested in the original Deepcool TriStellar but perhaps it was a little sober, lacking some kind of visual pizzazz, the SW edition might push you over the edge. The SW edition keeps the "three high hardness 'V' shape metal frames and full metal shells to ensure Tristellar has a reliable and solid structure," and maintains the three independent zones, separating the worst heat-offenders from each other in separate wings. 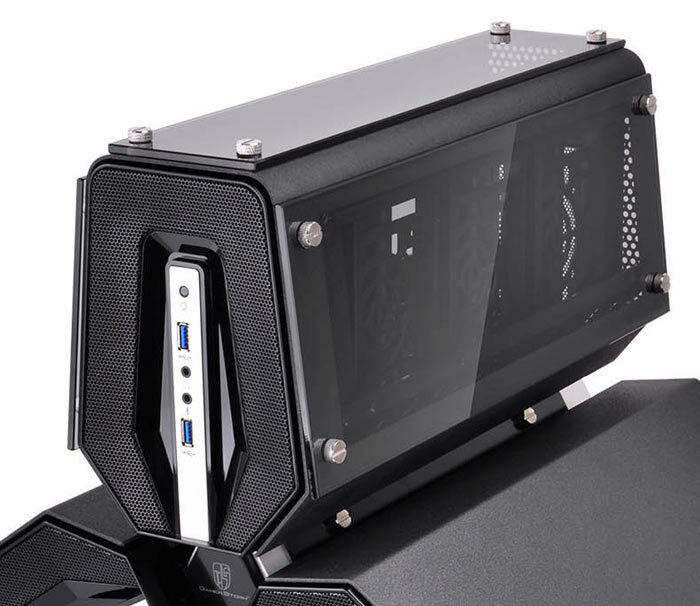 However Deepcool's new TriStellar SW edition ups the visual appeal of this case by outfitting the GPU cabin with toughened glass panels. Transparency has not been realized in a half-hearted fashion, with a typical side window, for example. 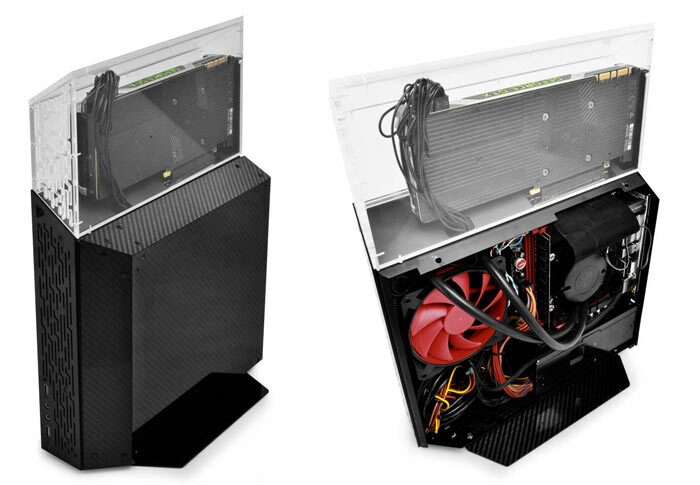 Deepcool has implemented the transparent panels on both sides and the top of the 'graphics card cabin'. If not for the overheating connotations it might be renamed the 'graphics card greenhouse', or 'graphics card orangery' if it resided in a well-heeled area of town. Other than the graphics card cabin panels change the specs remain the same as the previous Tristellar chassis and are reproduced below. Pricing and availability are yet to be announced. As a reminder of Deepcool's recent graphics card exhibitionism trend, dubbed GPU outside, it introduced the Nehrite and cube chassis designs recently. These feature transparent perspex sections for graphics card installations. Deepcool added new images of these eye-catching cases to its global Facebook page this week and I've included some of the best shots below. Both these chassis are due for release in about three months time.